U.S Energy Engineers provides detailed surveys and analyses of AC induction motors, providing comprehensive reports that give precise energy efficiency opportunities and general usage information of facility motors. This enables a methodology for implementing appropriate energy efficiency strategies and consolidated energy savings tracking. Energy measurements are taken and recorded with an energy analyzer on all three phases. Temperature measurements are recorded using laser temperature guns or data recorders. Where appropriate, we also conduct infrared thermography to validate other energy consumption related issues of system motors. 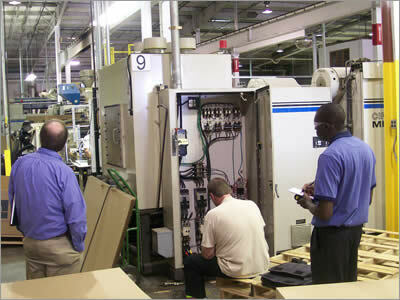 All our motor services give a true picture of the status of facility motor systems. These services also add to the understanding of the benefits of conducting detailed motor surveys, and create a basis of an effective predictive maintenance program. Our motor analyses and reports are unique because they give accurate information regarding motor energy usage and efficiency such that they can be used as a basis for other motor optimization projects.